If you didn't know, I'm Greek on my dad's side. Something I am very proud of! And one of the best things about being Greek is celebrating Easter Greek-style. 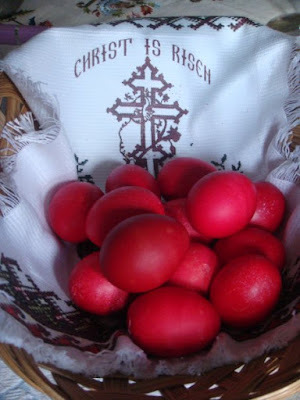 If you're not familiar with Easter in the Greek tradition, let me tell you a little about it. 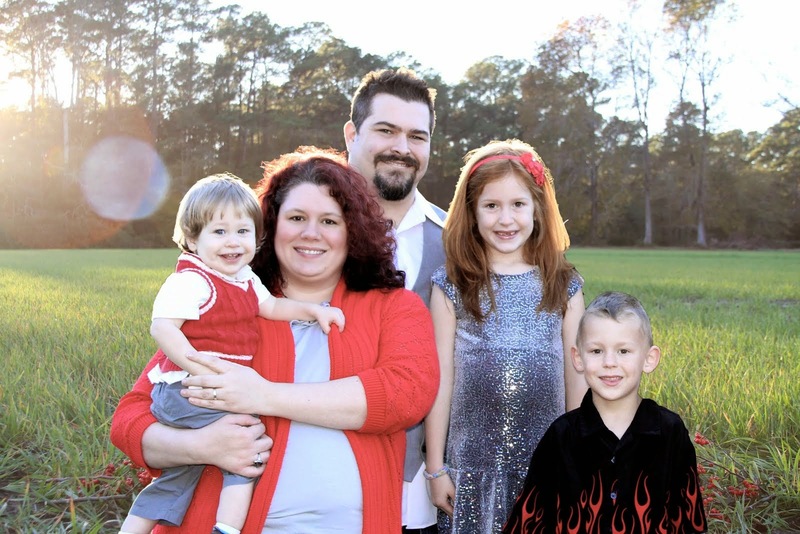 In Greek, we say, "Christos Anesti!" "Alithos Anesti!" 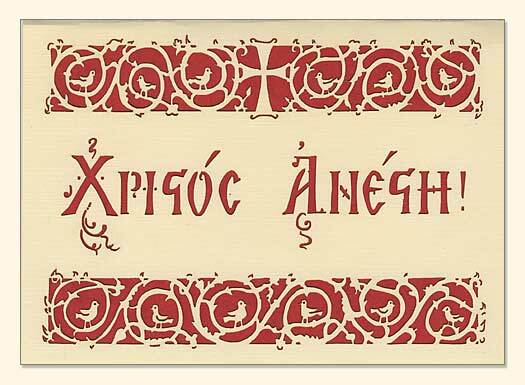 It means, "Christ is Risen!" "He is Risen Indeed!" It's something we say to each other all the time in Easter Season. Of course, Christ is Risen, and saying it in Greek is fun for the kids. 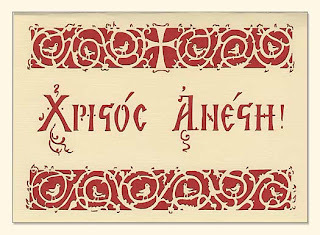 Of course, in Greek, Easter is Pascha pronounced PAHS-khah. It could also be referred to as Anastasi (ah-NAH-stah-see) meaning resurrection. Each player holds a red egg (and I do mean RED), and one taps the end of her/his egg lightly against the end of the other player's egg. The goal is to crack the opponent's egg. When one end is cracked, the winner uses the same end of her/his egg to try to crack the other end of the opponent's egg. Why do we play this game with red eggs? Well, eggs symbolize rebirth, and our rebirth as joint heirs with Jesus. Usually the eggs we eat are white symbolizing the purity of Christ, dyed red to show the blood of Christ that was shed for us. Give it a try with your family! I promise it will become an annual tradition!